IVAN ROBLES www.ivanrobles.com www.selektormusic.com Ivan Robles has been a DJ and playing Dance Music for over 15 years. 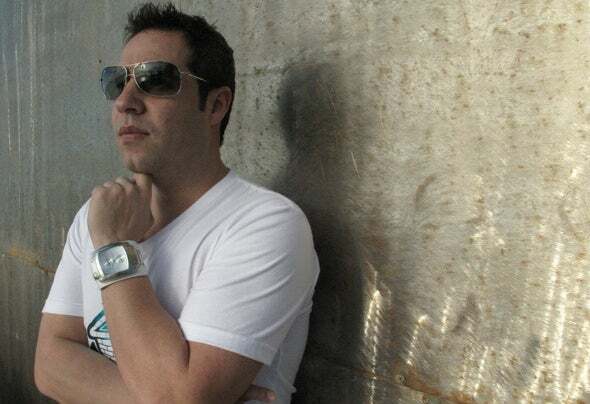 He is the face and sound of House Music in Puerto Rico. He not only has one weekly radio show but, 3 of top radio shows in Puerto Rico. He has shared the stage with some of the top Dj's in the world such as Tiesto, Robbie Rivera, Paul Van Dyke, Sasha, Cevin Fisher, Benny Bennasi, Ferry Corsten and Roger Sanchez just to mention a few. He has played all over the world in such cities as New York, Miami, Barcelona, Romania, Frankfurt, Amsterdam, Santo Domingo, Bogota, Venezuela, Ibiza and many other US cities and South American Countries. In 2007 he founded Selektor Music with the help of his friend Carlos Ortiz who is now his partner and runs the label with him. Ivan has collaborated, produced and remix projects for Sony/BMG, EMI Latin and Juicy Music among others. Ivan is now producing exclusively for Selektor Music and he and Carlos have been introducing some of the best new and talented producers coming out of Puerto Rico and New York and hope to make Selektor Music a player in the Dance Music Scene in 2012 and years to come.